Every year, we host a live reading of scripts that have made it to us through the festival, or from our own members. Performing at the Pasadena Central Library, in the Donald R. Wright Auditorium, we welcome the public for a free event of live reading and casual teatime, to enjoy fanfiction as a community who appreciates raw quality of stories, character developments, and many more! An actor since the age of 9, Dillon got his start at the Rubicon Theatre in Ventura, and hasn’t stopped since. 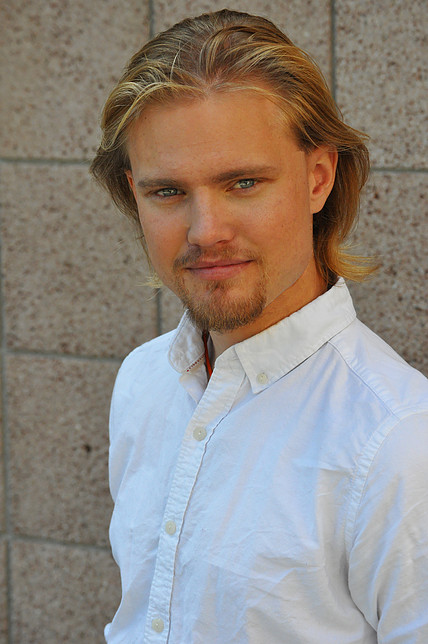 A graduate from UCSB’s prestigious acting BFA program, he has appeared in a broad variety of productions, from musicals and films, to Shakespeare and ballet. Credits include “Our Town,” “Middletown,” “Equivocation,” and the US premiere of “The Man Who Shot Liberty Valance,” to name a few. He is excited to be involved in this project, and would like to thank Eugene for his inclusion, and Manuel and Zack who are always there for him. Zackery grew up in the small town of Grass Valley, CA, where he found his love of theater and performance. That led him to attend UC Santa Barbara, where he graduated with a BFA in Acting. While at UCSB, he received the Robert Potter Award for playwriting and published his first novel “Epsilon A.R.” Currently, he lives in Los Angeles, and works as a writer and producer. Thank you to these performers for bringing these scripts to life. It’s special to have people amplify this fan art.